Highly productive and vigorous blanched variety for spring, summer and autumn production. Long, smooth petioles. Blanches to a beautiful white. 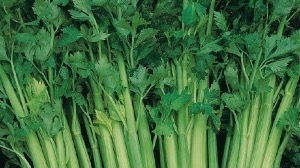 Excellent celery flavour and well worth growing for exhibition. Do not let slugs in. OPEN POLINATED 200 seeds approximately. For detailed cultural information on this variety please see our Growblog.